The letter “f” in photography stands for diaphragm. “64” refers to the narrowest opening of the diaphragm, a mode which determines the most extended depth of field obtainable in a photo shoot. It is a value that appears on lenses of large format cameras, folding or quarter-plate cameras, mainly used for professional photography of art, architecture and landscape. In the photographic vocabulary f/64 means absolute sharpness; at the same time, it refers to an association of American photographers who have brought an ideological and aesthetic revolution, crucial to the history of photography: Group f/64. We are in the United States, in the first decades of the twentieth century. This is the era of the Great Depression: the crisis started in the United States and rapidly upset the world economy, causing poverty for million of people. Real life broke into the artistic and intellectual world, the interest in social issues grew, especially in the field of photography. Straight photography is born the need to break away from the tradition of pictorialism and to return the attention to reality, whether natural or social, it is, a pure, direct, essential form of photography that does not use filters, pre-exposed lenses and special procedures of development, but that requires an absolute control of the photographic technique and the printing process. 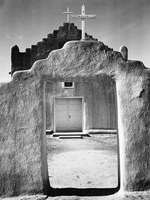 It closed the circle of the process that began with Alfred Stieglitz in the early years of the twentieth century, and opened the door to modern photography, straight photography shows itself freed from emulation of painting, able to rely on its expressive power and to achieve specific features. 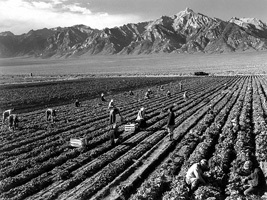 The era of social and documentary photography starts; in 1937 the Farm Security Administration – created by FD Roosevelt in order to document the crisis in the agricultural sector – became the largest centre for photographic commission in the country, resulting in one of the most interesting experiences of photo reporting of the twentieth century.